I have been a fan of beautiful wallpaper all my life. If you have been too this post is perfect for you! Hi Friends!! So this blog post is one that I am going to give you information about something we don’t think about too often. 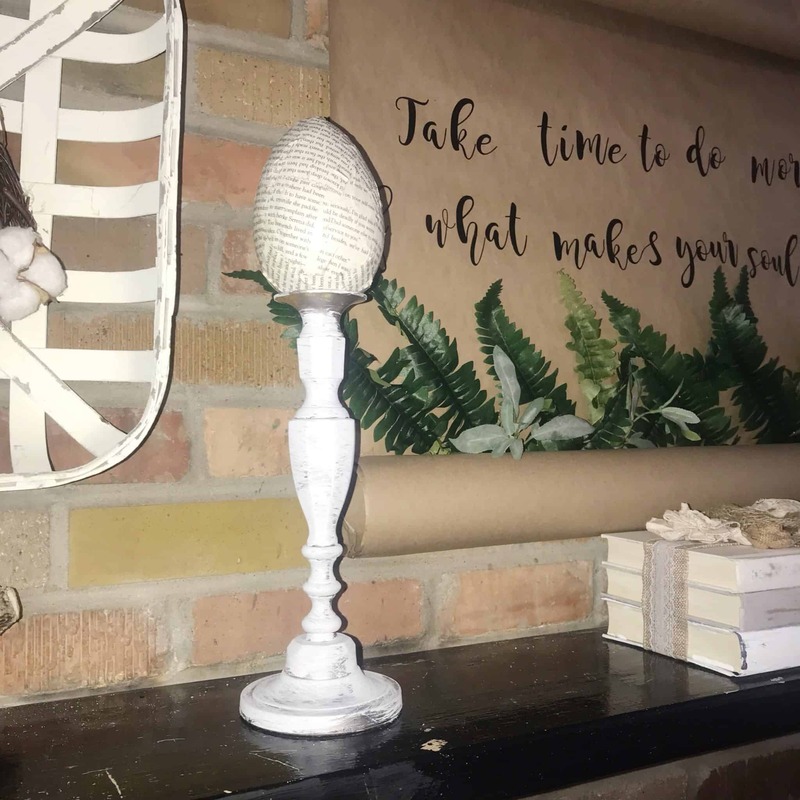 It’s about something that doesn’t really cross our minds when decorating! 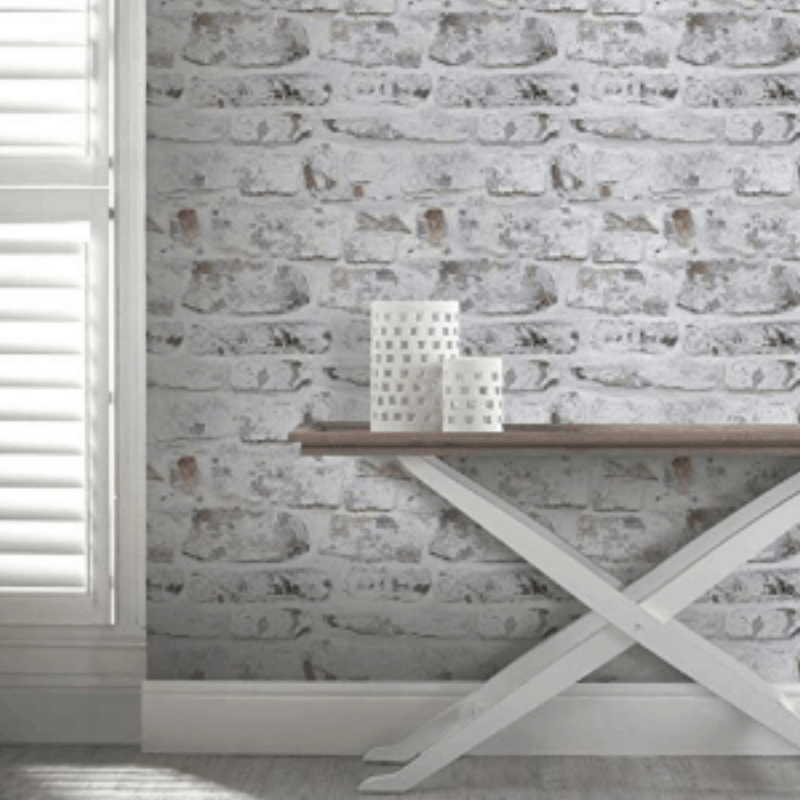 Beautiful wallpaper isn’t something that we think about immediately when we are thinking about designing a farmhouse country home. Accent walls is something that I adore. 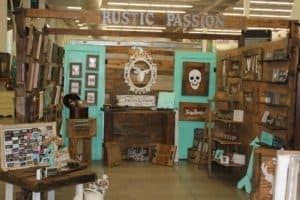 I love pallet walls, reclaimed wood walls, shiplap, german smear brick walls. 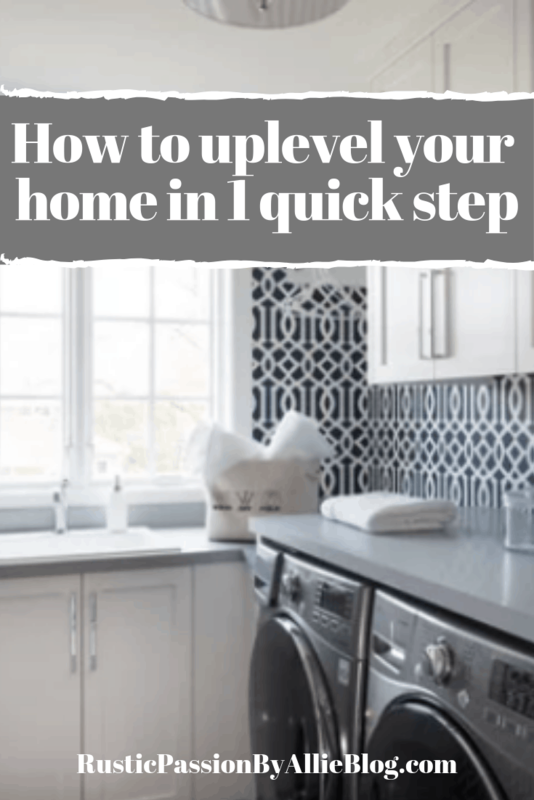 I mean honestly the options are endless for what you can do to make your home standout. 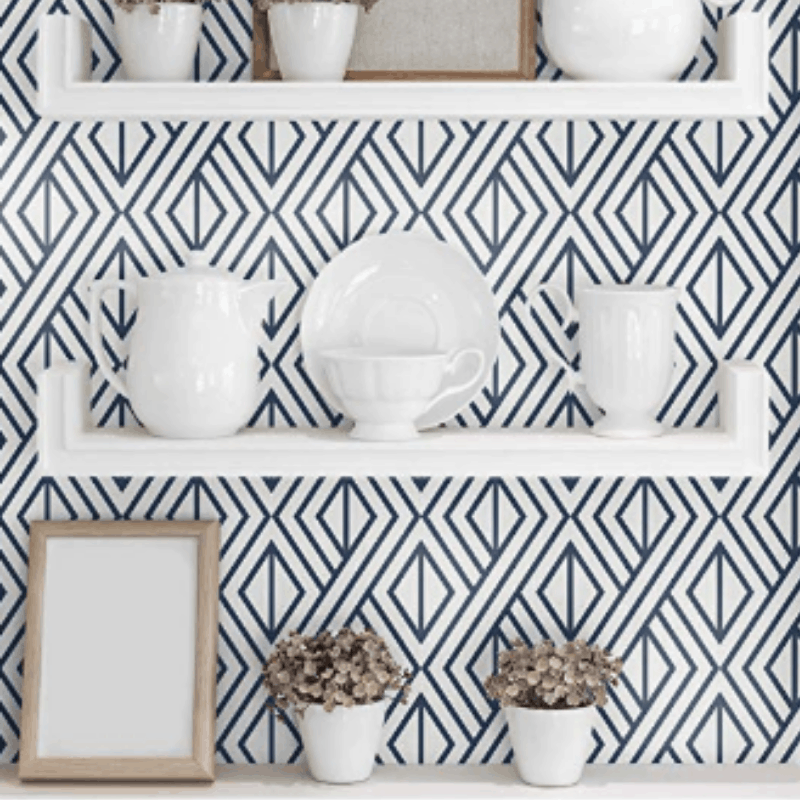 But when you think of an accent wall wallpaper doesn’t always pop right up. But it should! Growing up crazy out there wallpaper was so popular. I remember going over to my grandma’s when I was a kid and every single room had a different style of wallpaper. It was loud, bold, and often super colorful. So I want to share some of my favorite beautiful wallpaper styles. 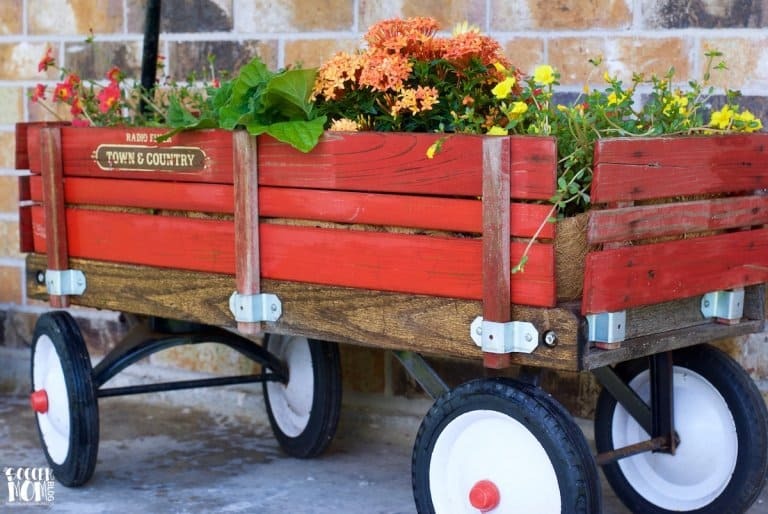 This is the one design item that will make your home completely unique and stand out. You will see a variety of styles for these beautiful wallpapers. 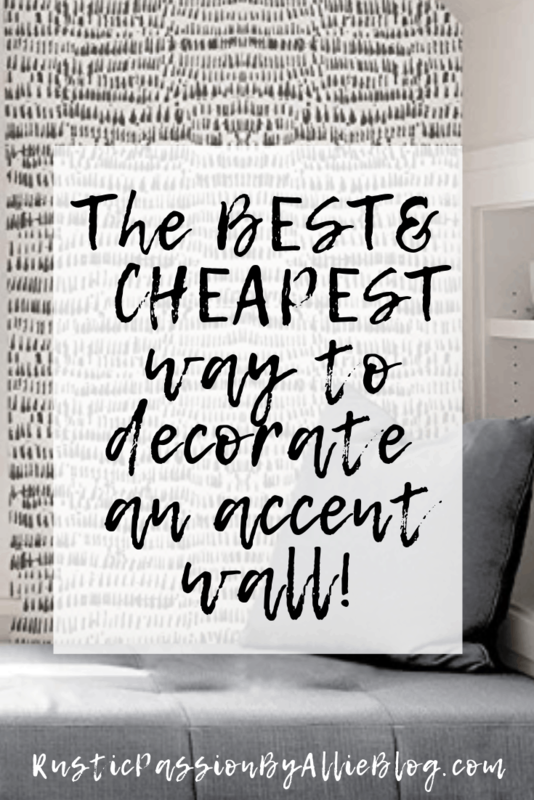 I have included multiple different kinds so you can see and understand how much impact an accent wall with wallpaper can bring. These rooms are completely gorgeous! 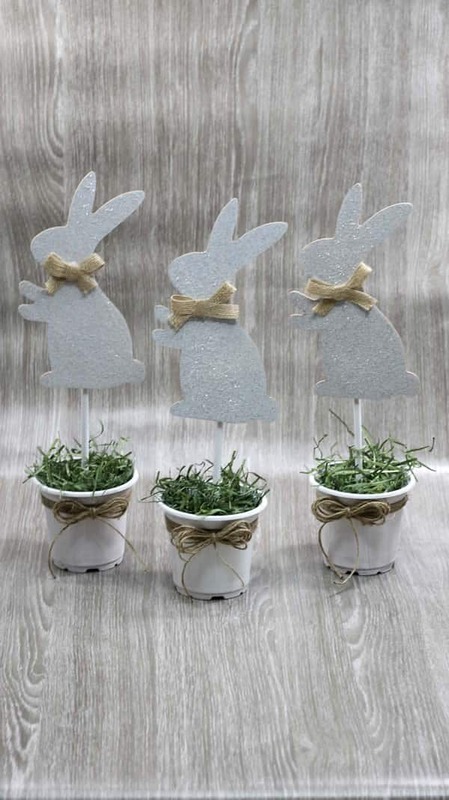 And something that will make a statement in your home. 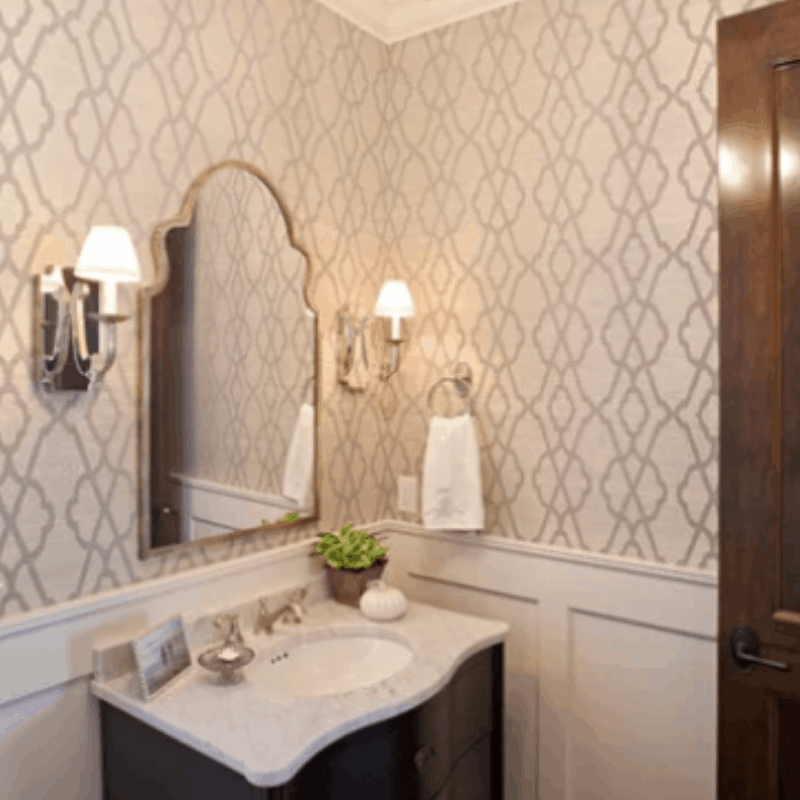 You will love these beautiful wallpaper styles and I can’t wait to share my favorites with you. You can click on each photo if you want to know where to purchase each one. 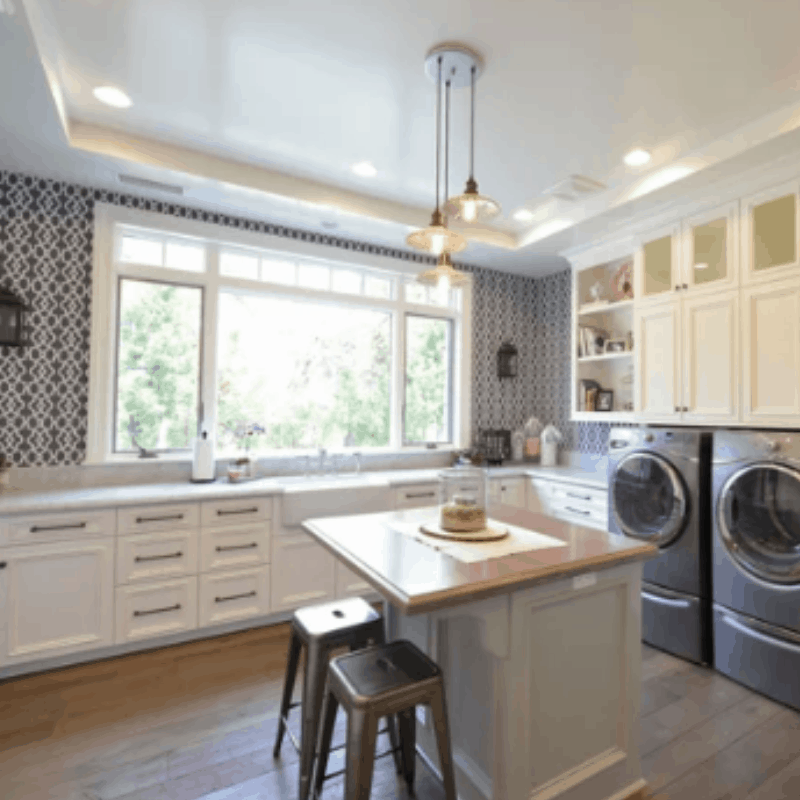 These laundry rooms are stunning and the wallpaper adds so much character. 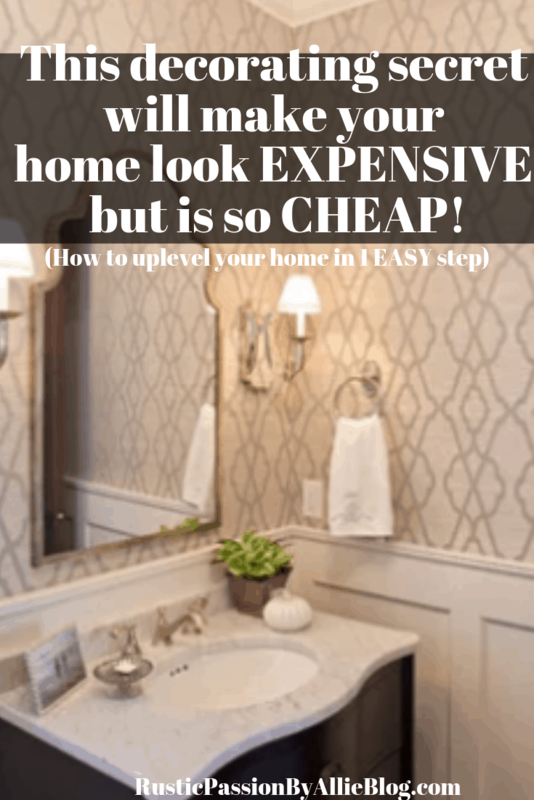 This faux German Smear stone wallpaper is everything! I can’t get enough of it. And wouldn’t be mad using it in multiple rooms. I love the clean lines on this white and gray wallpaper. The pattern design on this white wallpaper is one of a kind. 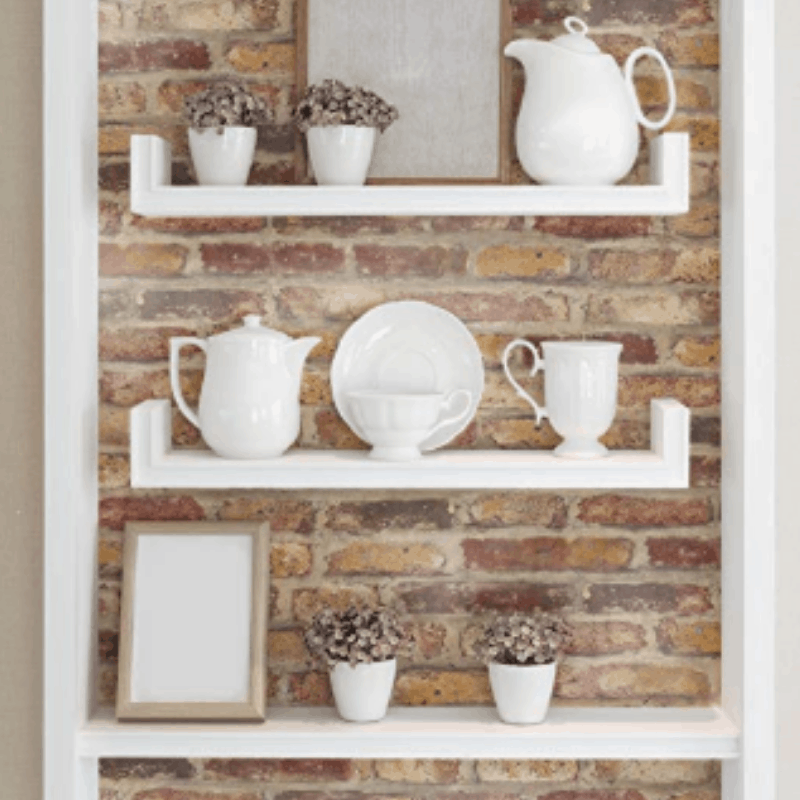 This faux brick is something that is an easy shortcut to do if you want an authentic looking brick wall with the hard work. Which beautiful wallpaper design in your favorite so far? 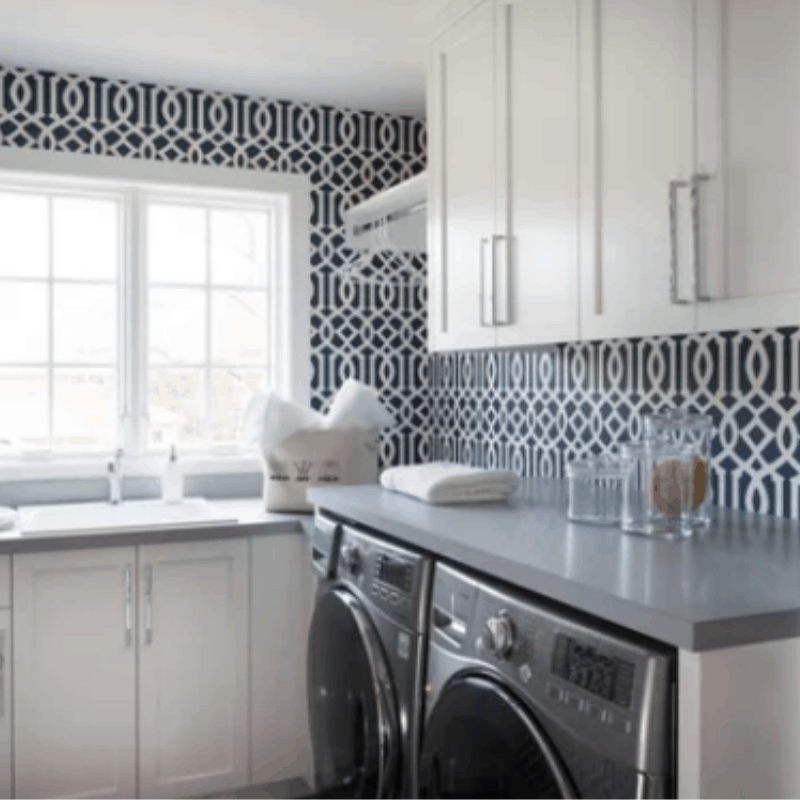 These two wallpapers have the same pattern but just changing the color brings a dramatic change. And I love both colors! The white and black wallpaper is probably a top favorite of mine. It’s so simple but makes such a statement. It could go in any room really. 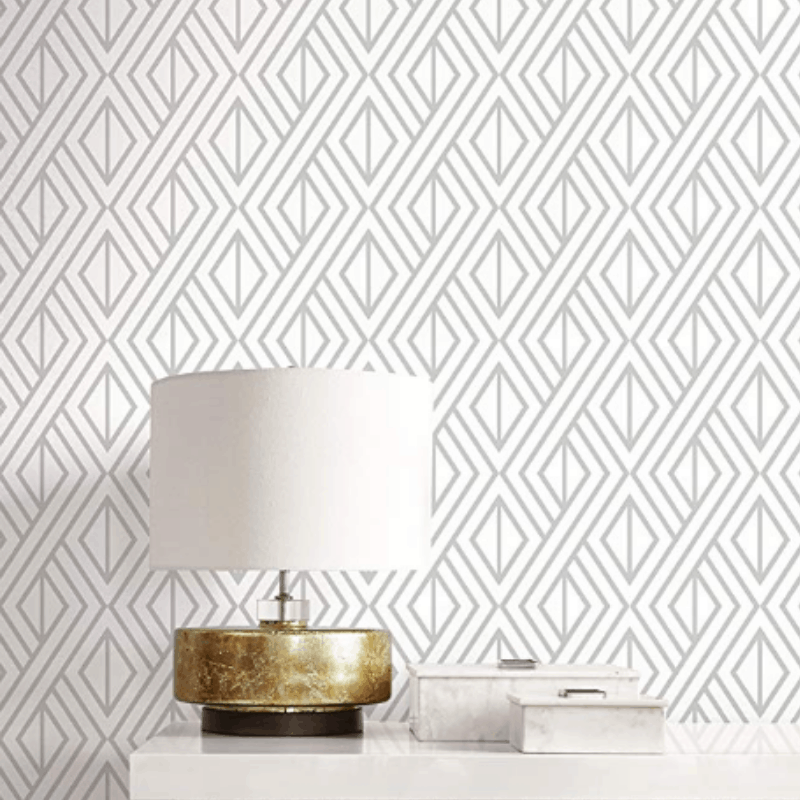 This lookalike white textured tile wallpaper is gorgeous. It is so unique! And I can’t get enough of it. Tell me in the comments which one is your favorite. Lastly, have you been wanting to create your own blog? Because I make ALL of my income from being a full time blogger. Keep reading if blogging is something you have always been curious about. So don’t forget to take a look at my blog post How to start a Blog the easy way! I’ve included a list of the best tools I use for my blog. 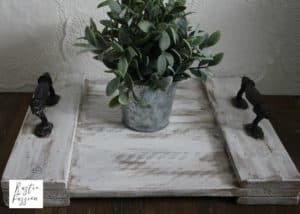 I used all the items in this blog post personally and absolutely love them. Also, I linked discounts or the best price possible for each item. Go read it now and start a blog the easy way! Let’s hangout more than just here?! 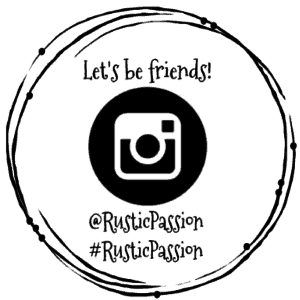 Come find me on Instagram, Pinterest, and Facebook. Thanks for stopping by the blog today. It means so much to have you here. Don’t hesitate to reach out if you want to connect! 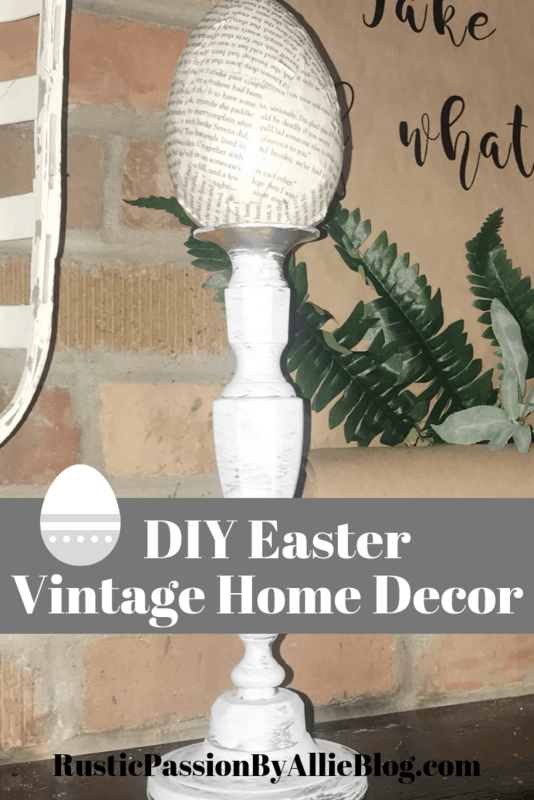 Do you want to make the CUTEST Affordable Spring Decor? 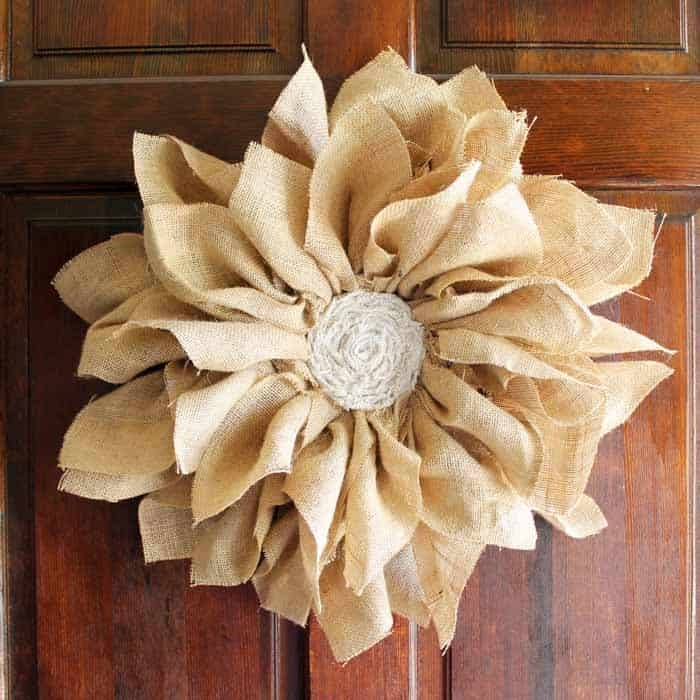 Keep reading because you will get inspired by these DIY craft ideas! Happy Friday friends! I am happy it’s the weekend. We have some fun plans this weekend. It’s finally yard sale season. Which I absolutely love doing. It’s so much fun finding old furniture pieces. And give them a massive makeover. Redoing furniture will always be something I enjoy doing. I am on my own when it comes to yard selling. Tyson has been dying to go hiking. And would much rather do that! The weather is almost good enough to go out and spend some time in the mountains. If any of you that aren’t local in Utah plan a visit or a vacation here for Summer exploring the outdoors is a must. I love that we live right next door to the mountains. And pretty soon it will be warm enough to go camping. We basically live outside during the warm seasons. Who else is with me when it comes to Summer? Sometimes I will bring my laptop outside in the backyard and work. It’s so nice to be able to spend as much time outdoors as possible. 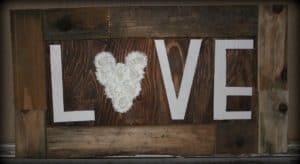 So this is a fun blog post that I know you will love. Because I loved writing it! If you have been following the blog for a while you know how much I love this time of year. I rant and rave about Spring and warm weather all the time. 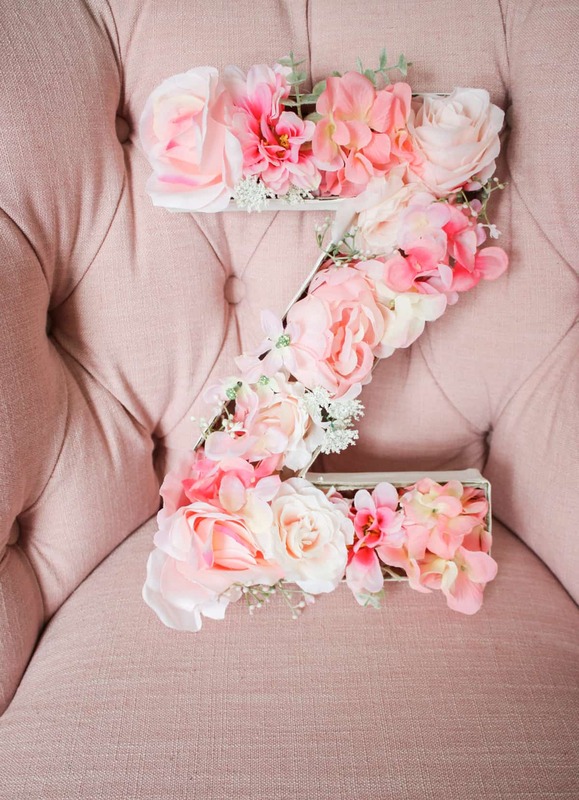 That’s why decorating for Spring is my absolute favorite. 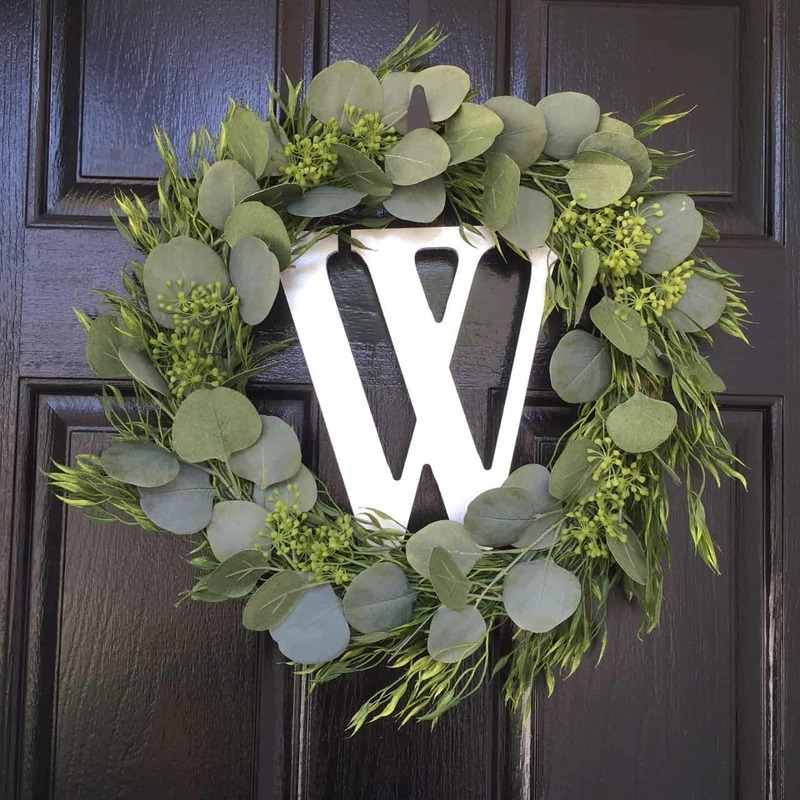 My home is very neutral… I’m talking mostly white, gray with some rustic wood accents. I love the look of a neutral room. When this time of year comes around and I can mix in pops of color I love doing so. I’ve been crafting so much lately. And have made some adorable decorations. 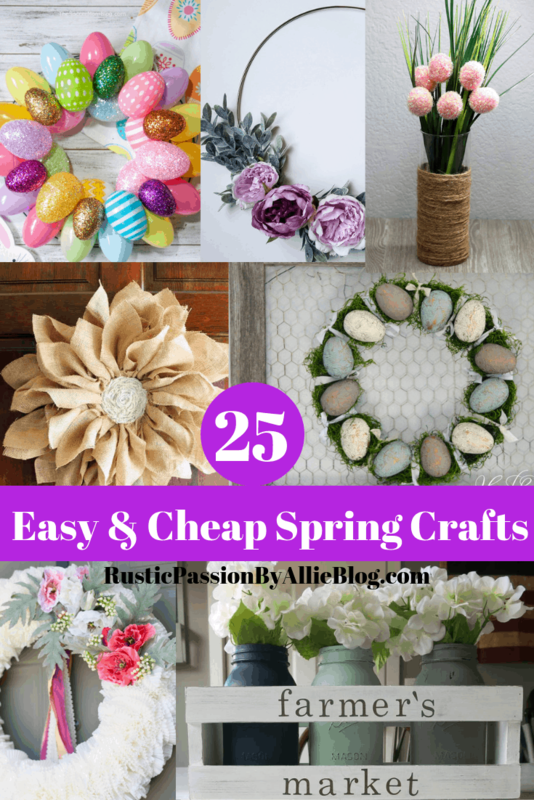 So I want to inspire you and bring you 25 DIY craft ideas for Spring that are so EASY to make! 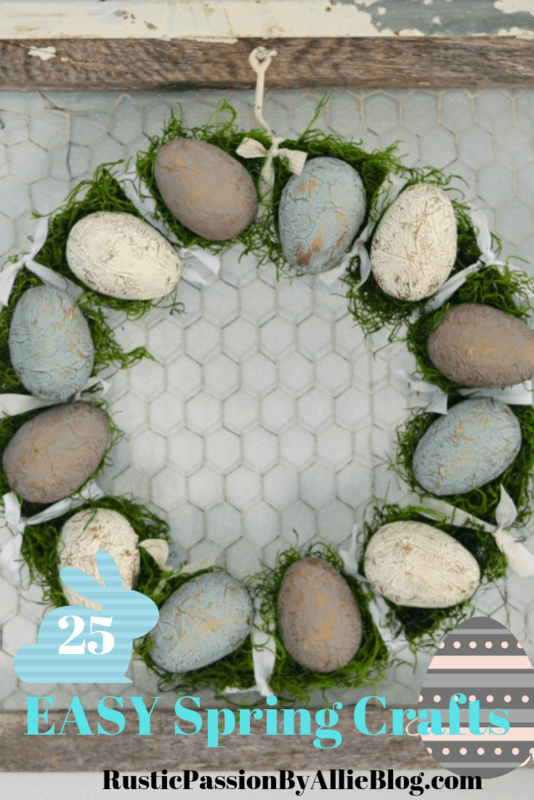 I promise after reading this blog post I know you will be dying to make each and every one of these cute craft ideas. Because I was. So don’t forget to bookmark and pin this post for later. 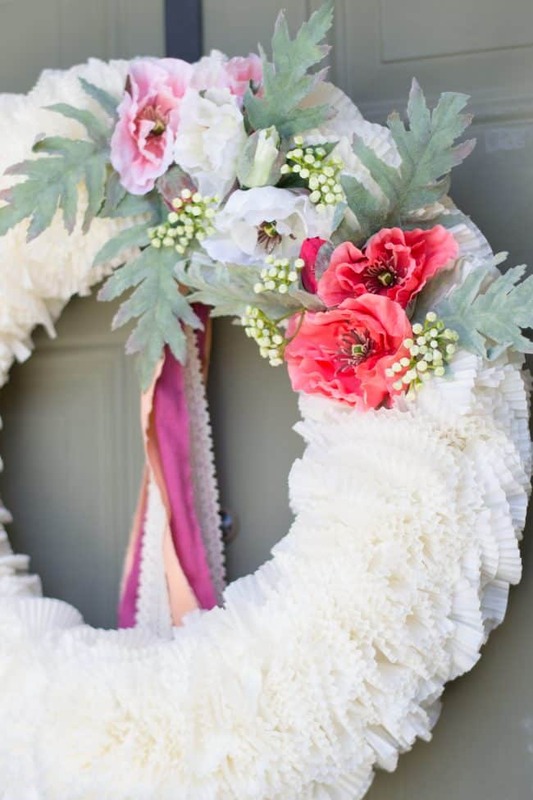 In addition to how adorable these Spring craft ideas are they are all budget friendly! Which is equally as important! So let’s get down to business! 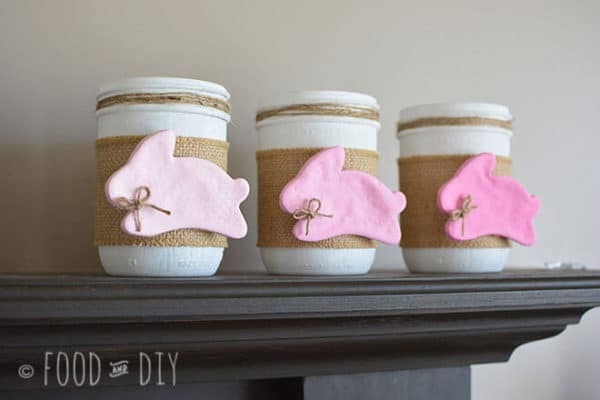 Here is the cutest DIY craft ideas that you will adore! So what did ya think? 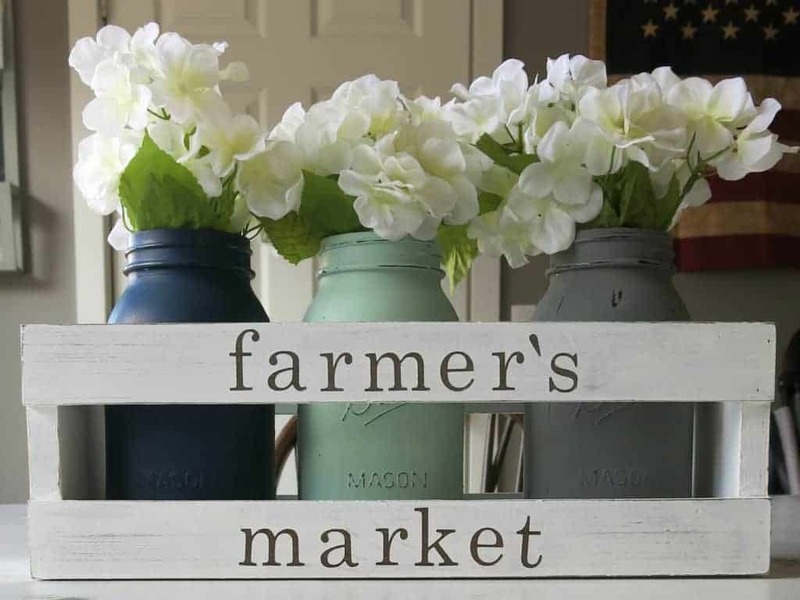 Did you fall in love with these DIY craft ideas? Obviously, I did! All the things Spring and Summer! I mean c’mon! BRB I am going be busy making EVERYTHING in this post! Which one is your favorite? Tell me in the comments! And don’t forget to take a look at my blog post How to start a Blog the easy way! Thanks so much for stopping by the blog today! It means a lot to me that you did! Hi friends. I hope your week is going great. 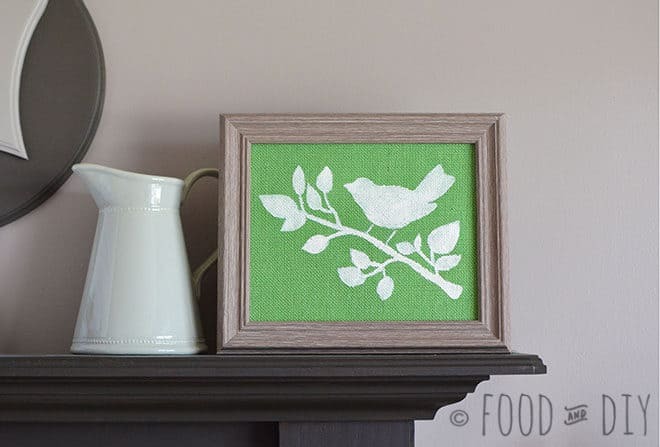 What Spring crafts have you been working on? I have been making quite a new of them. 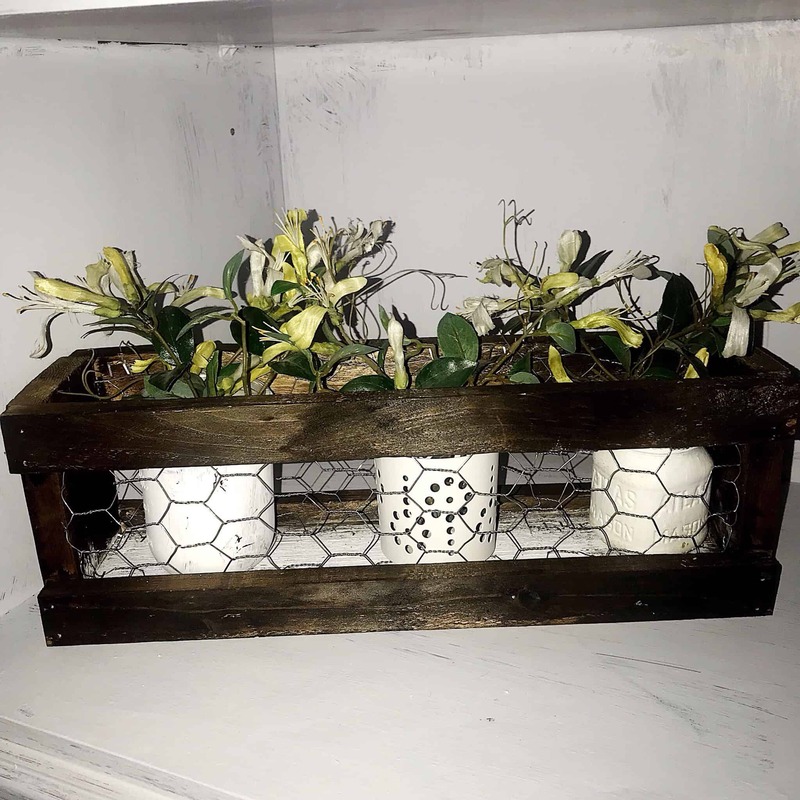 I made a wood planter a weeks ago. 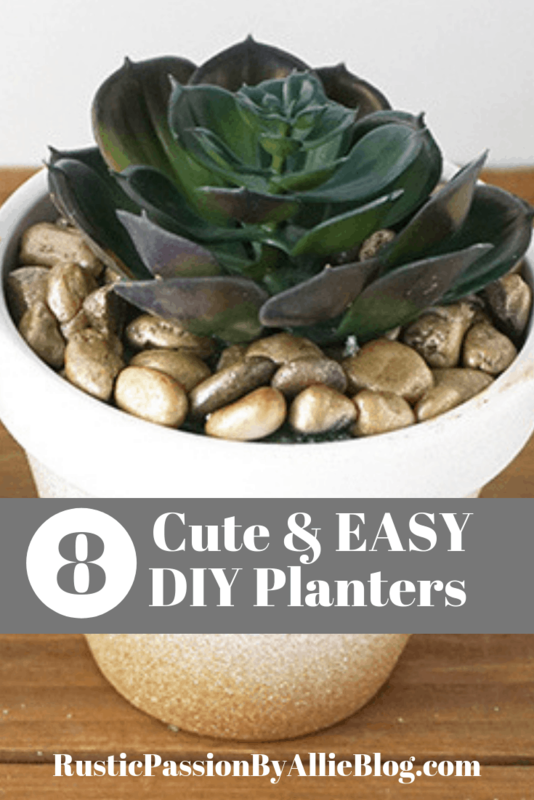 And it inspired me to write a blog post with the Best Affordable DIY Flower Pot ideas. 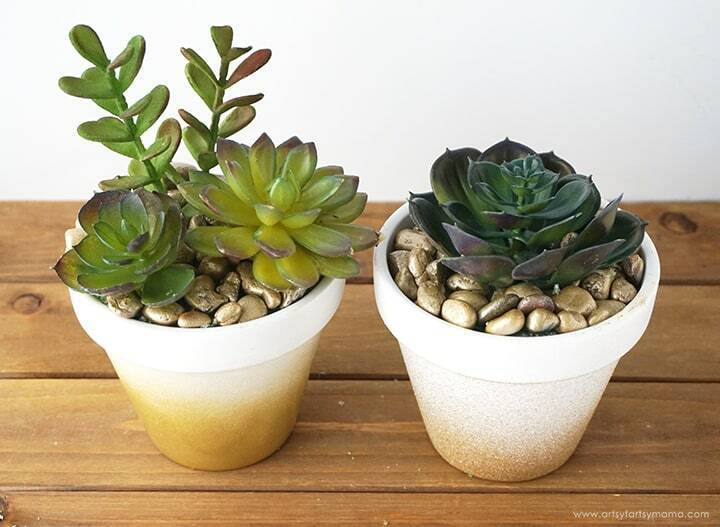 I found that there are so many different options to make your own planters and flower pots. The options are really endless. 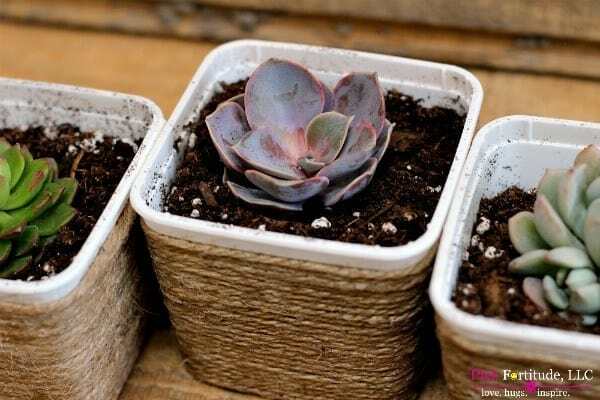 Have you ever made your own planter? 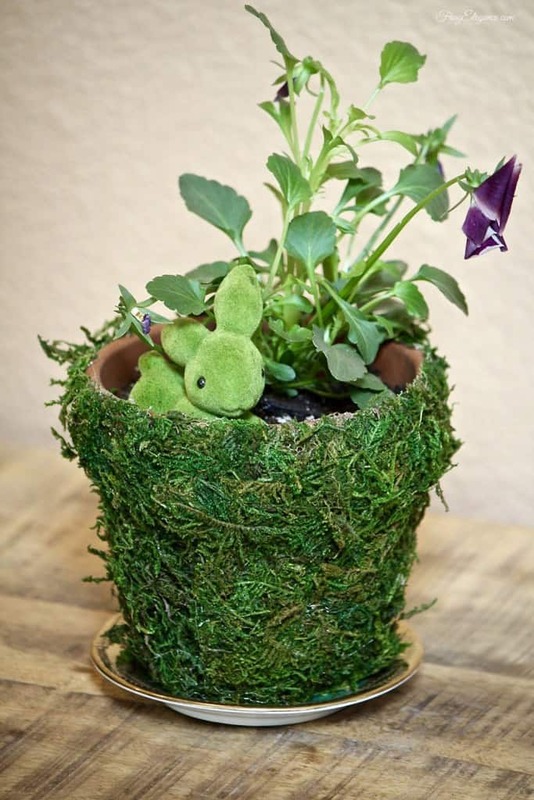 If you haven’t you have come to the right place to get DIY flower pot ideas. 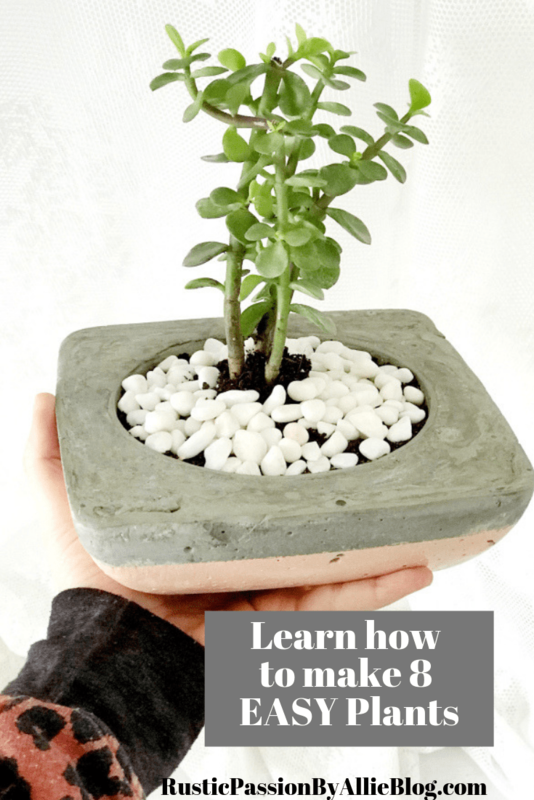 I teamed up with some awesome bloggers to give you the best inspiration to make your own planter. These are some of the cutest ones I’ve ever seen! 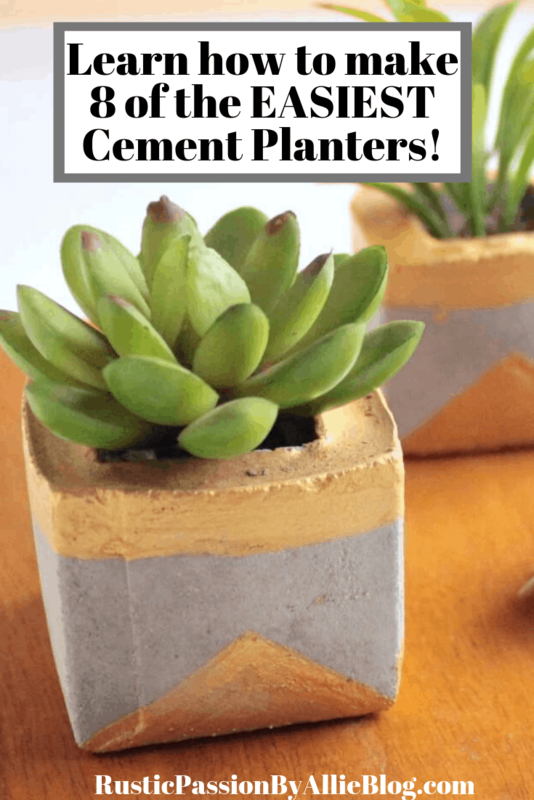 So tell me in the comments below if you make any of these cute planters! Because I want to know. Honestly I want to make them all! And I probably will. Because I honestly can’t choose just one. Truth be told, they are all so cute! And perfect for this time of year. 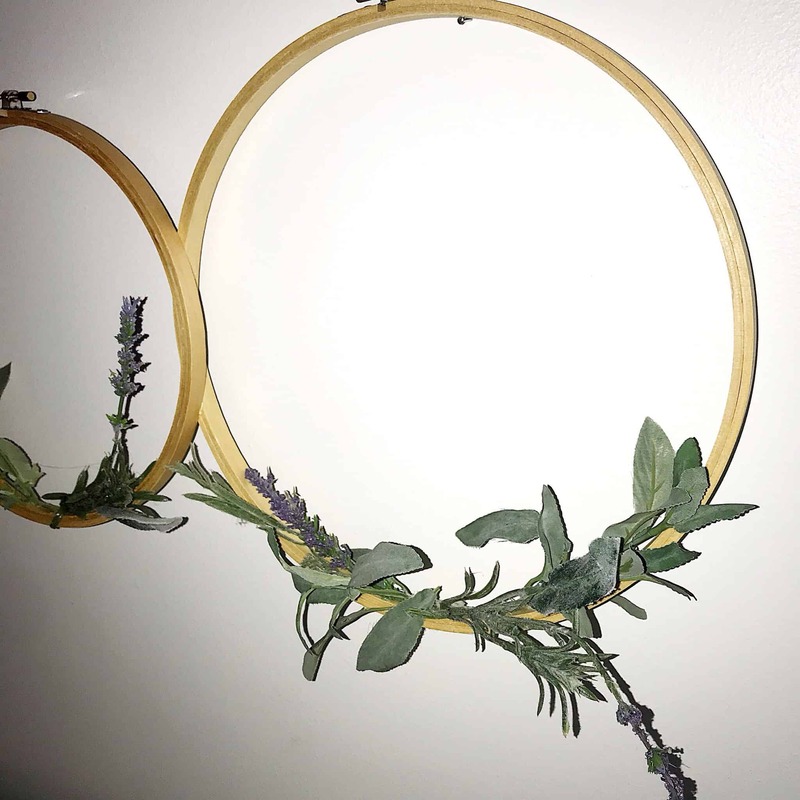 Spring and Summer crafts are my favorite. 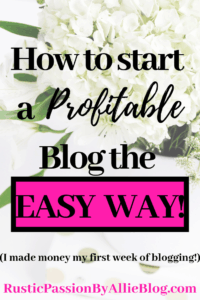 Take a look at my blog post How to start a Blog the easy way! I’ve included a list of the best tools I use for my blog. 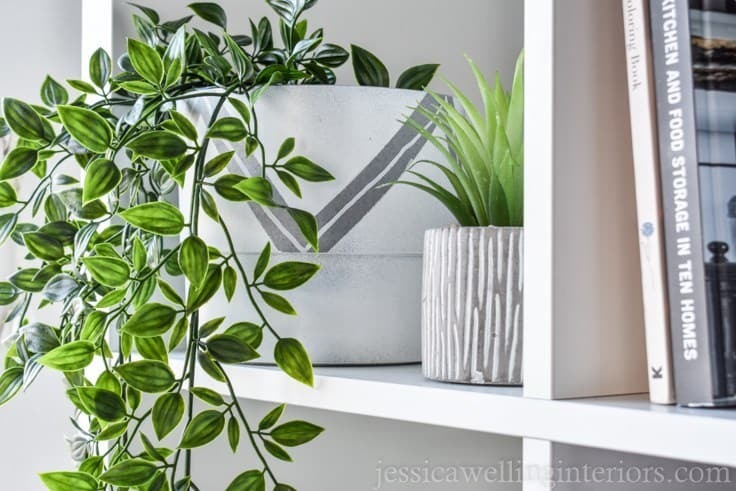 I have used all the items in this blog post personally and absolutely love them. Also, I linked discounts or the best price possible for each item. Go read it now and start a blog the easy way! Thanks for stopping by the blog today. It means so much to have you here! And don’t forget to take a look around the blog. 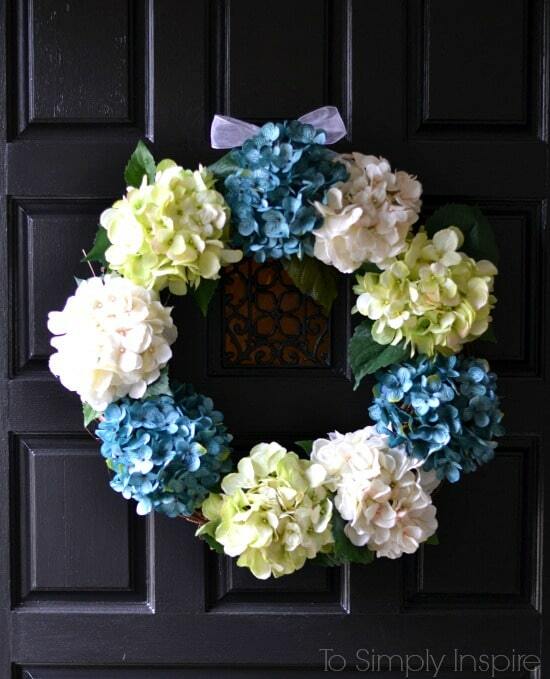 Because I promise you will find fun DIY’s you’ll love. 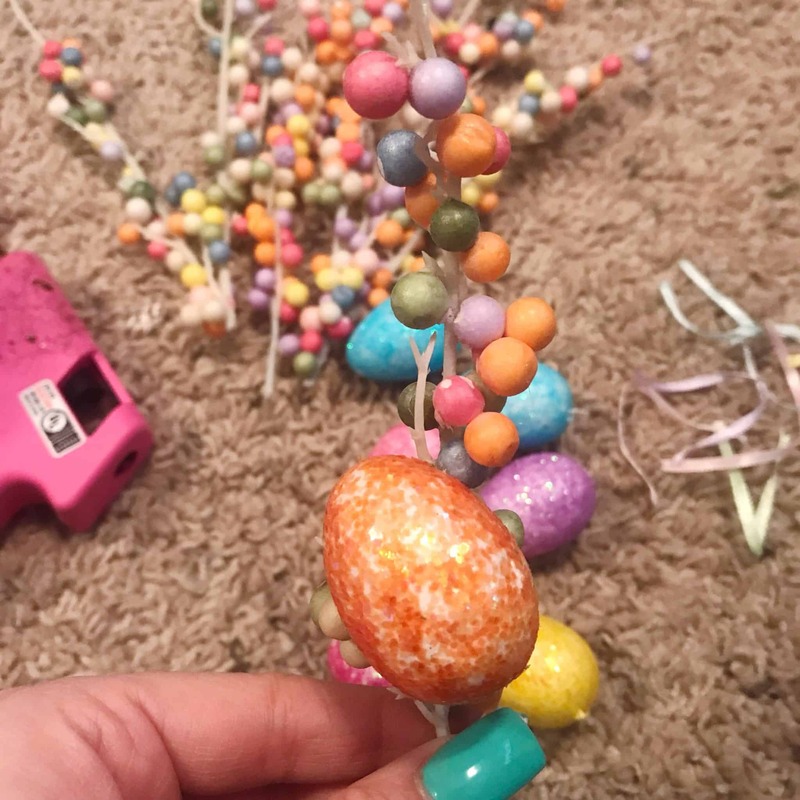 Do you love Spring crafts? 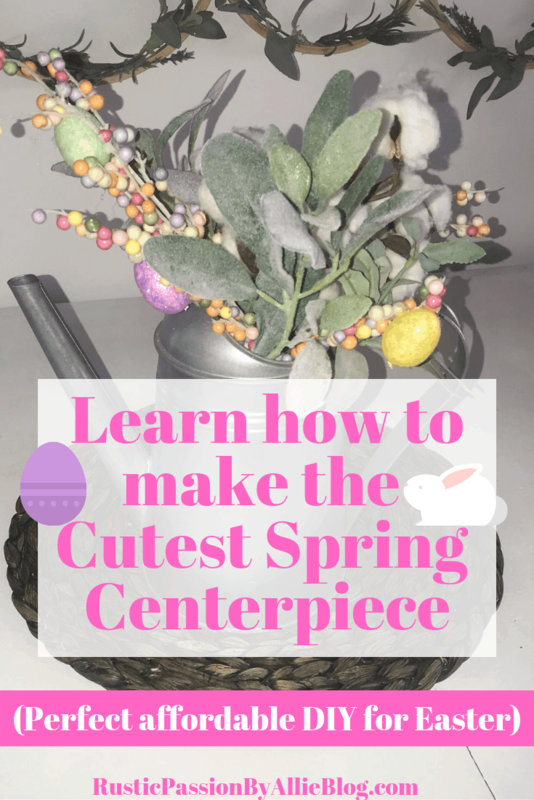 This is the perfect EASY centerpiece that anyone make for Spring and Summer! Happy Monday friends. I hope you had an amazing weekend. We had a fun weekend. Tyson’s new schedule for work is staying home on weekends. Occasionally he was working Saturdays. So it’s been nice having him home. We spent some time in Park City yesterday. If you are local in Utah or have ever visited you will want to make sure you go to Park City. I love it up there. It has such a unique vibe. It’s the best. There are so many fun restaurants and cute little shops on main street. 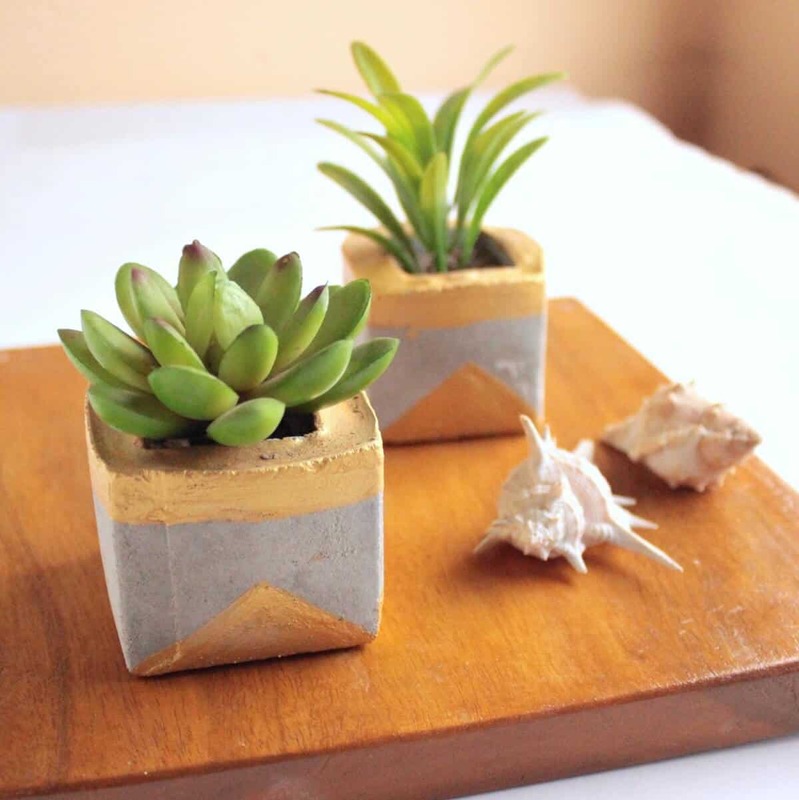 We visit some interior design stores and home decor boutiques. The weather was perfect it was sunny and finally felt like Spring! YAYYYYY!!! Let’s hangout more than just here?! 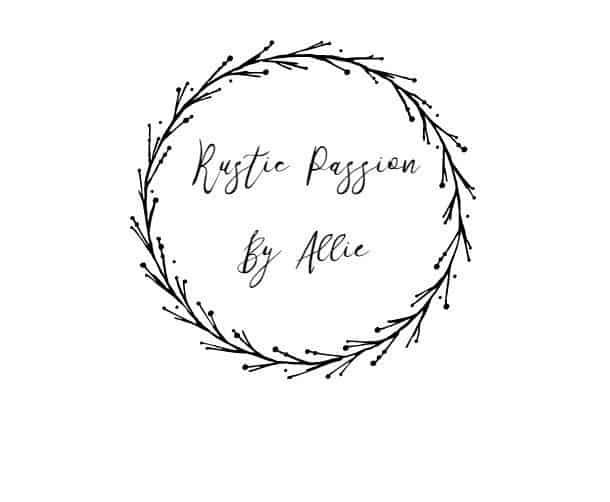 Sign up and become a part of my blog family! I would love to connect with you. Fill out your info below. 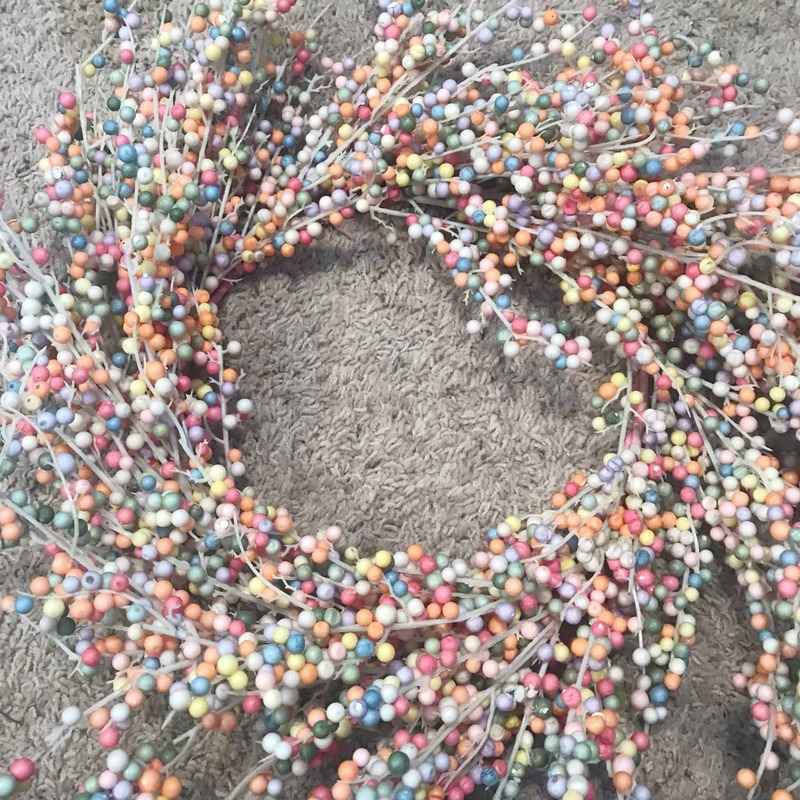 So in some of my recent blog posts you have probably seen my Spring crafts. 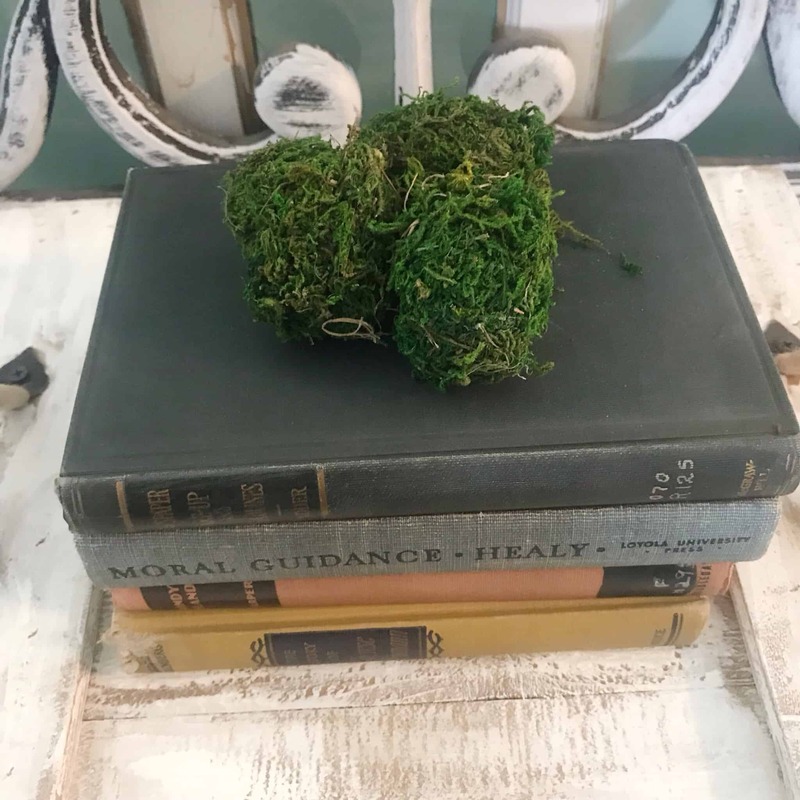 I have been making Moss Easter Eggs, and a Vintage Egg Decoration. 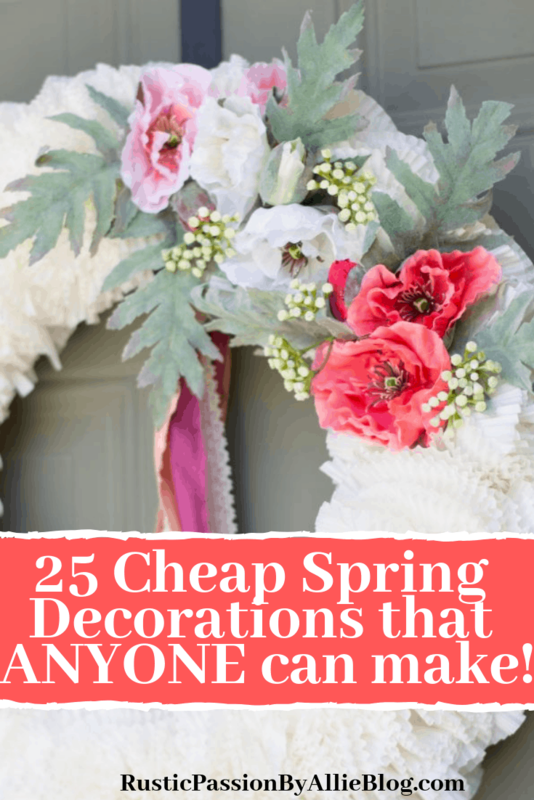 So check out my Spring crafts and tag me on Instagram if you make any of them. 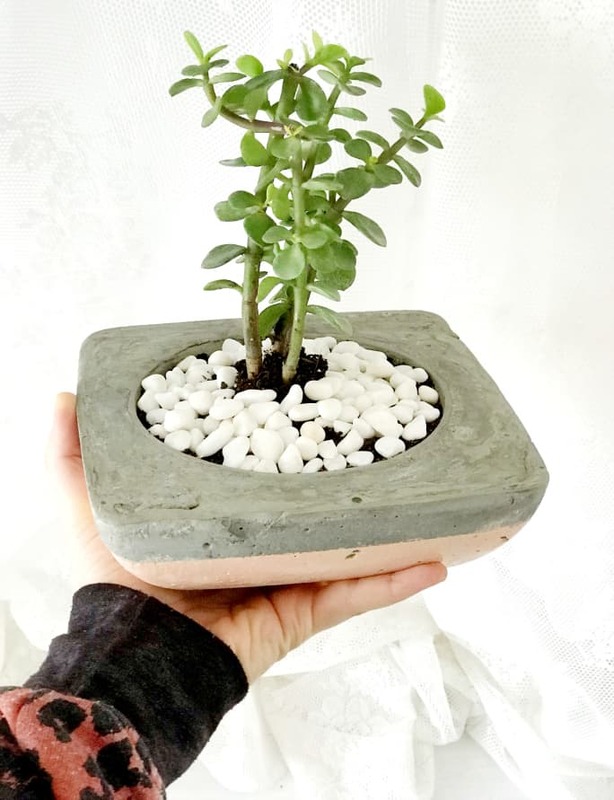 I love seeing your DIY’s! 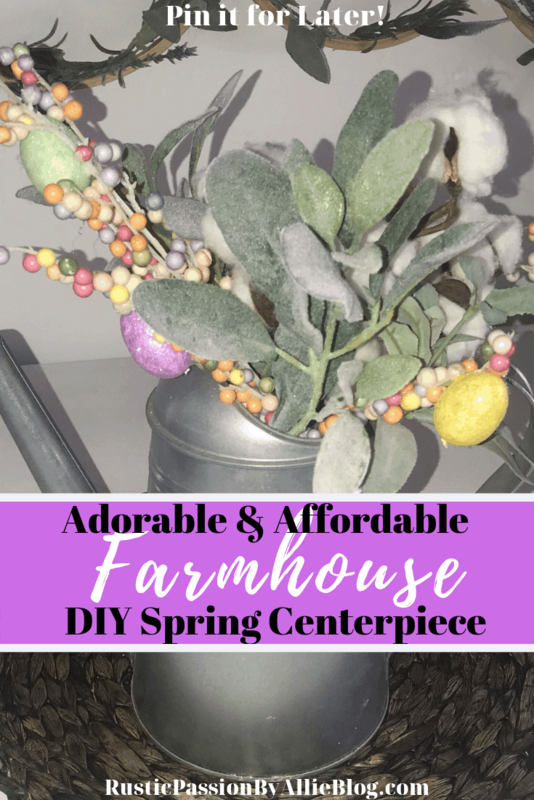 So I made the cutest farmhouse centerpiece for Spring and Summer. Because it only took a few minutes to make anyone can make it! And it brought some pops of color to my table. Which I love this time of year! 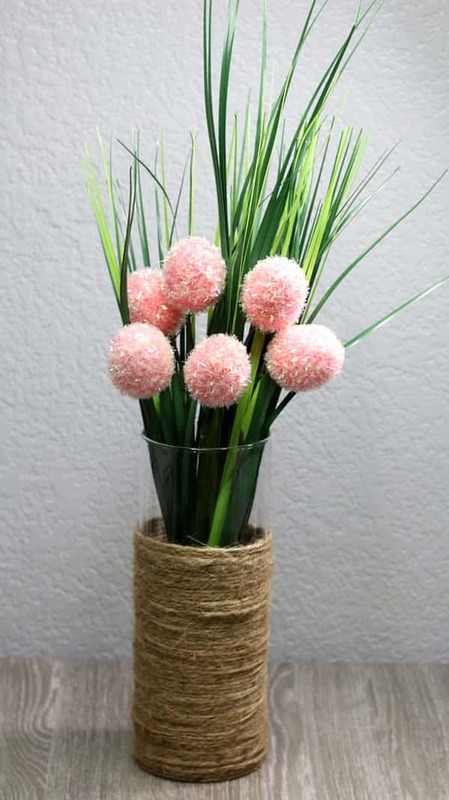 You can’t go wrong with small pops of color to mix in with your neutral decor. So let’s get down to business! 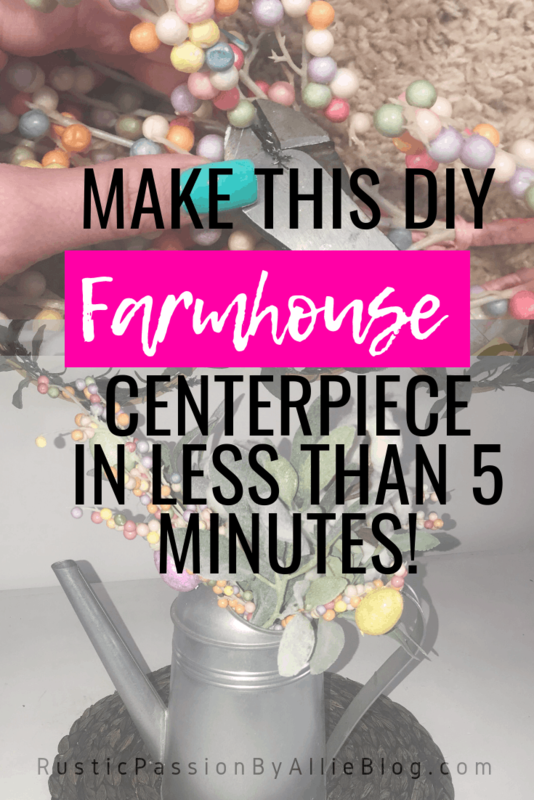 And I’ll show you how to make the cutest Farmhouse Summer centerpiece. 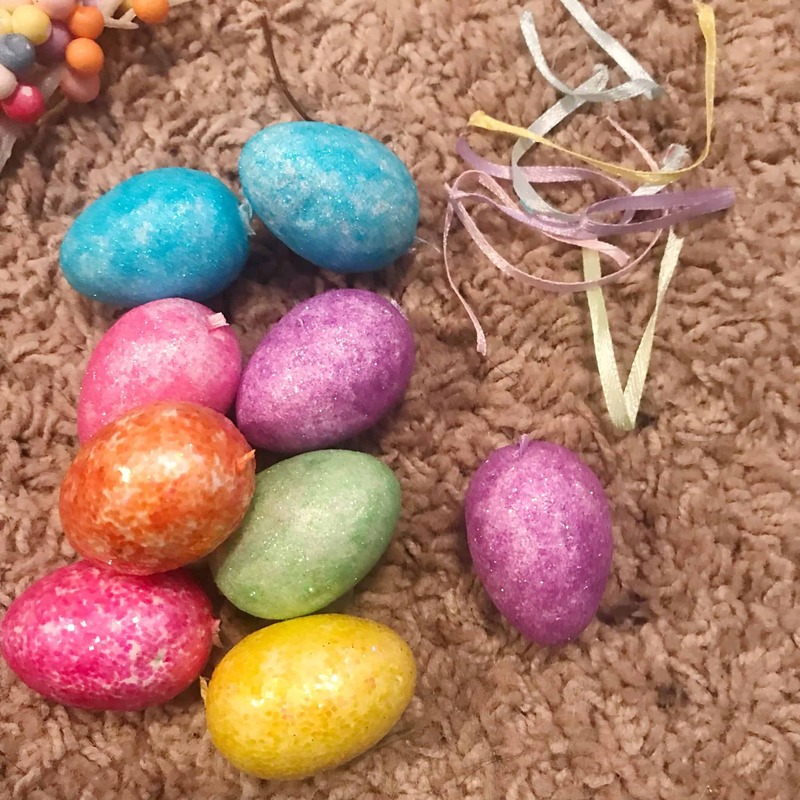 You will need colorful sytrofoam balls. 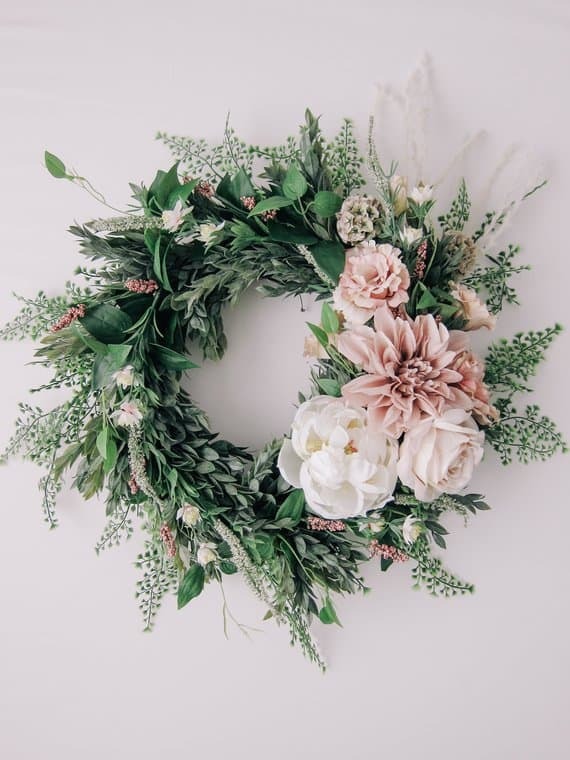 I used an old spring wreath I had. 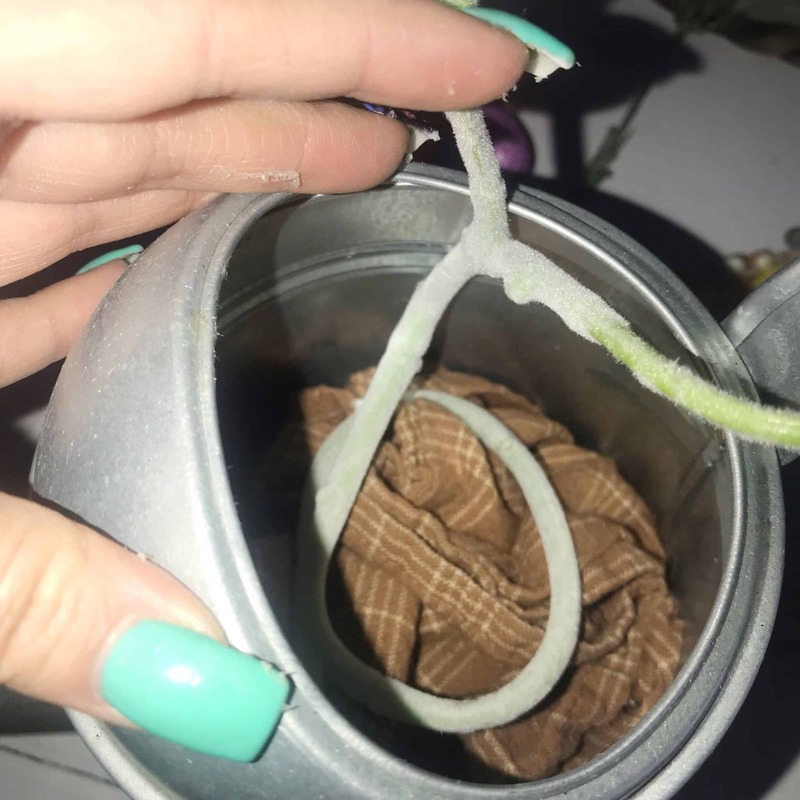 So I cut off individual branches at the stem. 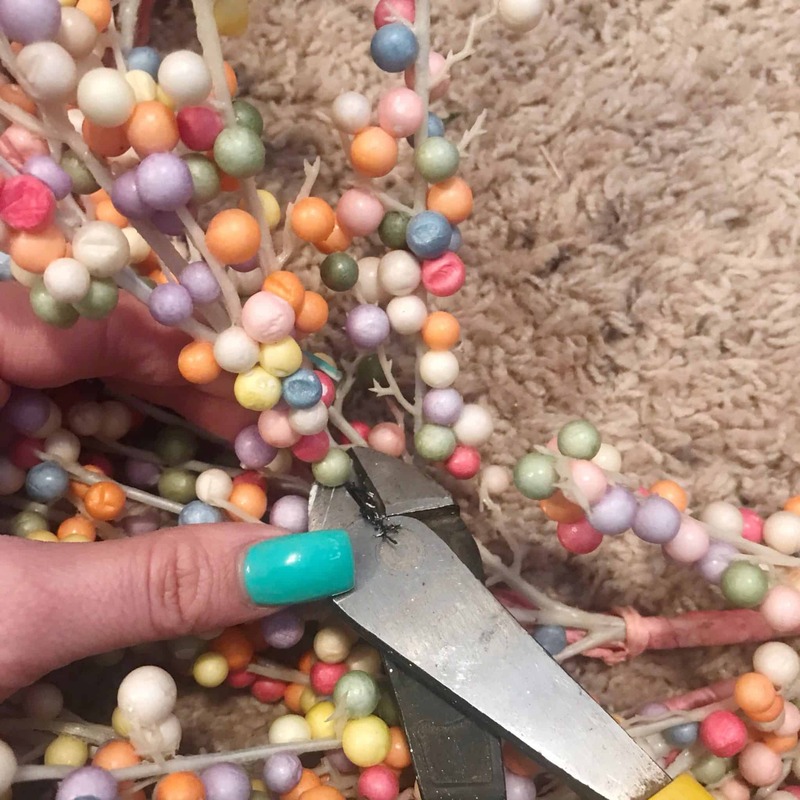 I snipped off 6 branches to use for my centerpiece. 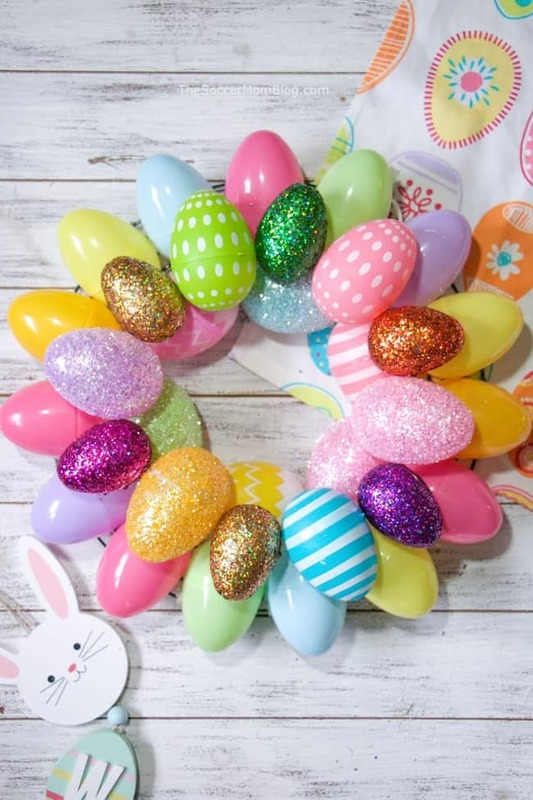 And then used some styrofoam glitter Easter Egg Ornaments. Because these were ornaments I had to cut off the string. 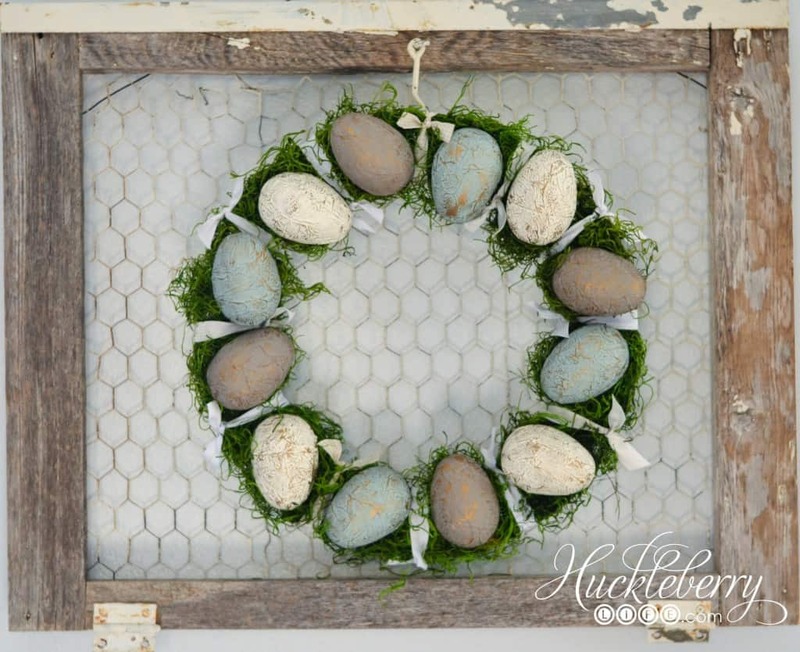 And then you will need to hot glue the eggs on the branches in random spots. A trick I always use when filling pots or vases is putting something in the bottom. Sometimes fabric or a dishcloth anything like that works. 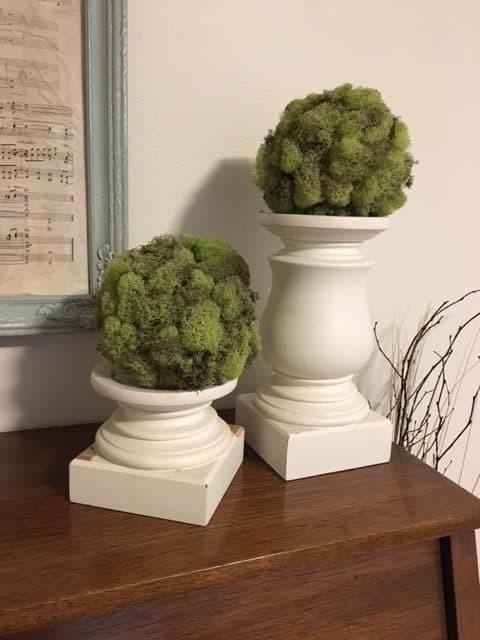 It’s just makes it so the flowers have something to sit on. 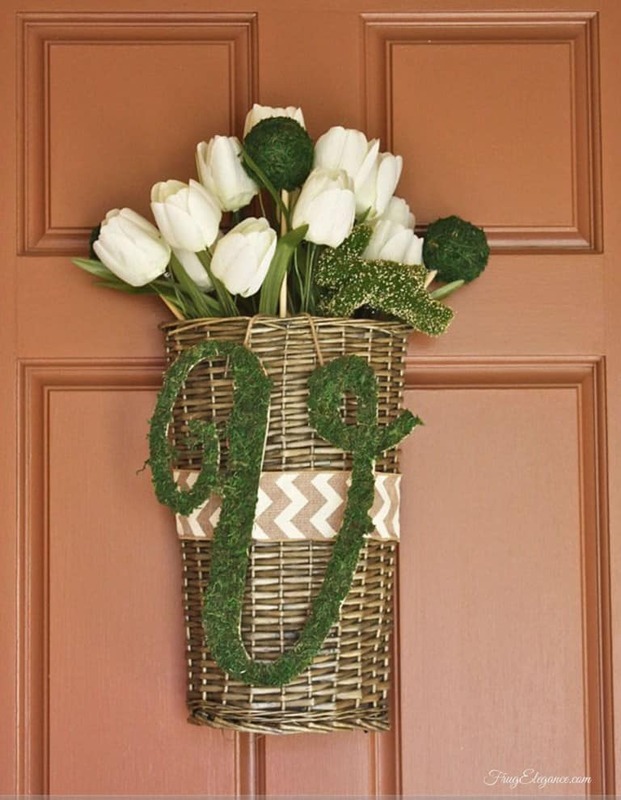 Ultimately you won’t be using as many flowers because they don’t have to fill as much of the vase. 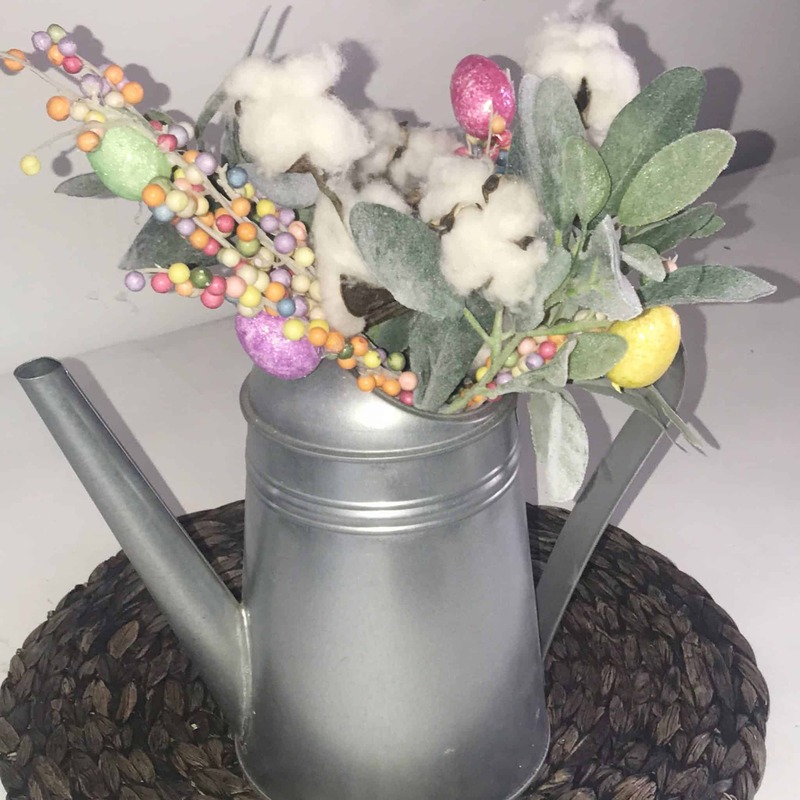 I filled it with the colorful ball branches with the Easter eggs, greenery, and cotton stems. I arranged it the way I thought looked best. 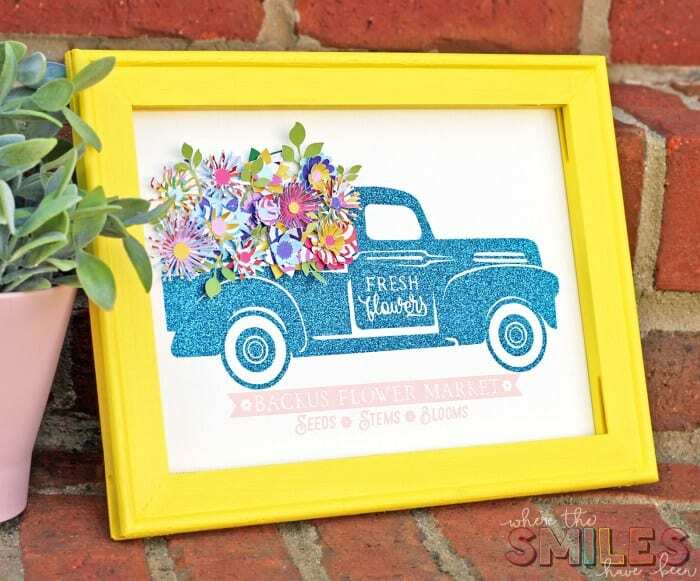 And love the farmhouse Spring feel it had with the pops of color. It turned out so cute. 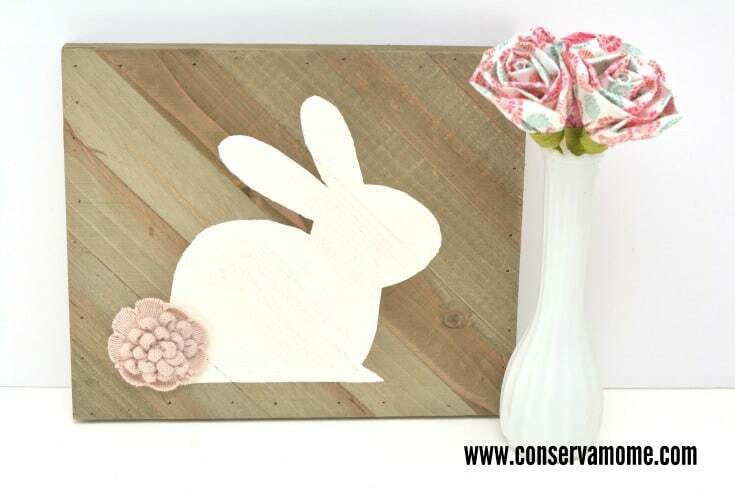 It is a super easy DIY to add to your Spring crafts and barely cost anything to do! The pops of color really looked amazing with my normal farmhouse design style. 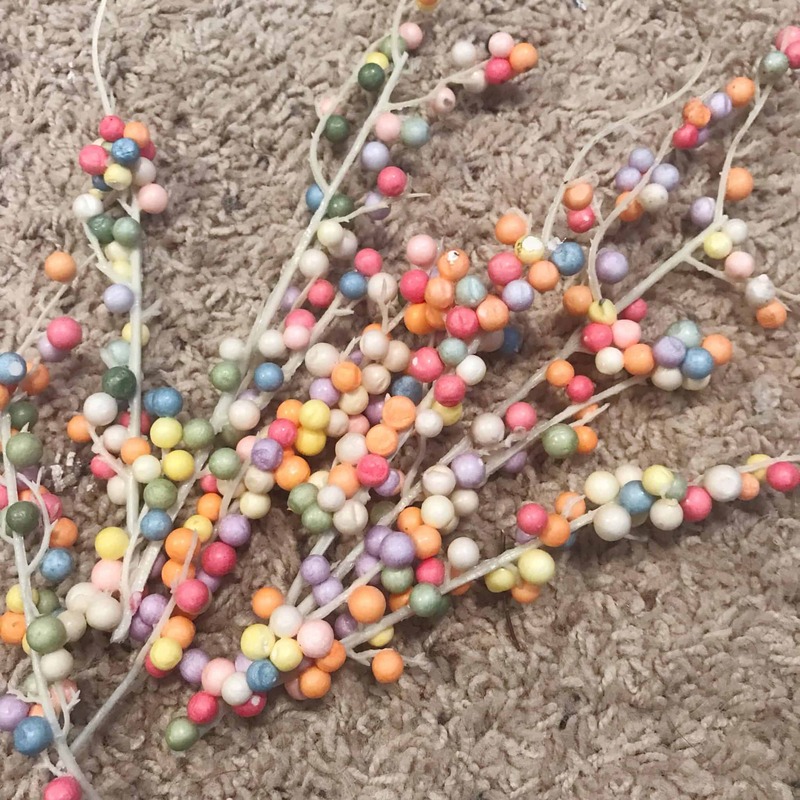 This time of year is one of my favorites because of all the DIY Summer and Spring crafts! Have you been wanting to create your own blog? I make ALL of my income from being a full time blogger. Keep reading if blogging is something you have always been curious about. Take a look at my blog post How to start a Blog the easy way! I’ve included a list of the best tools I use for my blog. 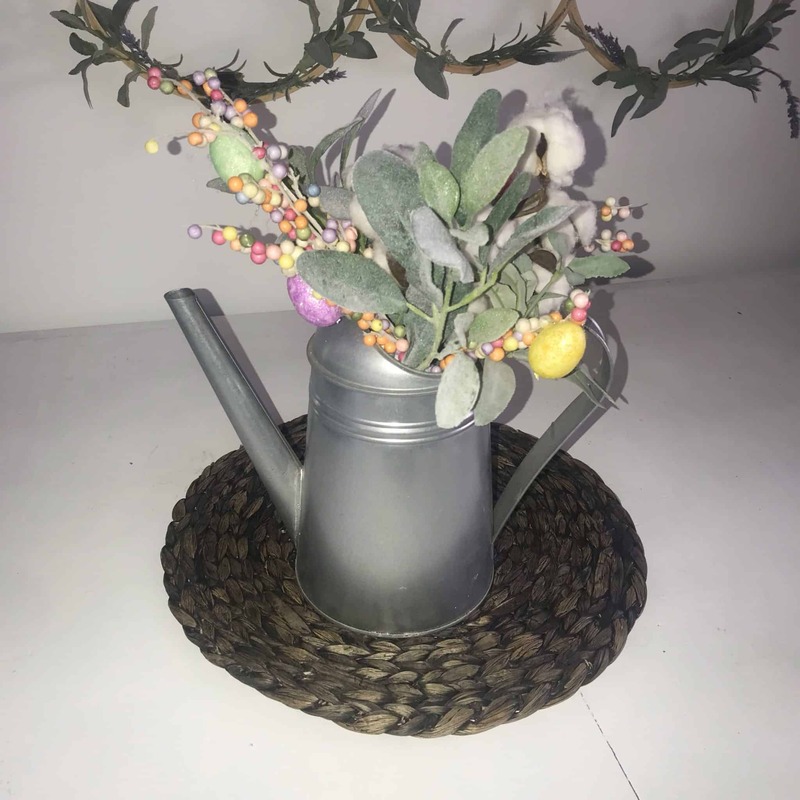 I have used all the items in this blog post personally and absolutely love them. I have also linked discounts or the best price possible for each item. Go read it now and start a blog the easy way! Thanks for stopping by friend. I am so happy you did! It means so much to me.